Karen joined the community of Christ the King-Epiphany Church in October 2018 as transitional pastor/priest-in-charge. This was a return to Wilbraham after having served the Lutherans of Christ the King as transitional pastor for ten months in 2010-2011. 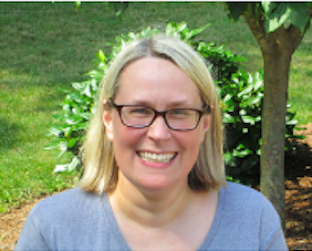 She came to us from Holden, MA after serving six years there at St. Francis Episcopal Church as Associate Rector and founding Executive Director of unCommon Ground, a spirituality center focused on outreach to those seeking the holy outside the institutional church. Her first call to parish ministry was as pastor to the people of First Lutheran Church in Lynn, MA where she served from 2005 to 2008. Karen has also worked in several retail settings as a community pharmacist, while serving at the same time in parish ministry. In her personal life, Rev. Safstrom enjoys outdoor activities, reading, listening to music, attending concerts, and spending time with friends and family, especially her mother, sister, brother-in-law, niece and nephew who all live in her hometown of Rutland. She can be reached at pastor@ctkepiphany.org. Elissa became our Parish Administrator in 2016 after Fran Selva retired from the position, having faithfully (in both senses) kept everything running smoothly for 17 years. Elissa manages the church calendar, publishes the weekly emails, monthly newsletters, and Facebook posts, updates the website, assembles worship bulletins, and handles many other tasks that help us communicate with each other and the larger community. 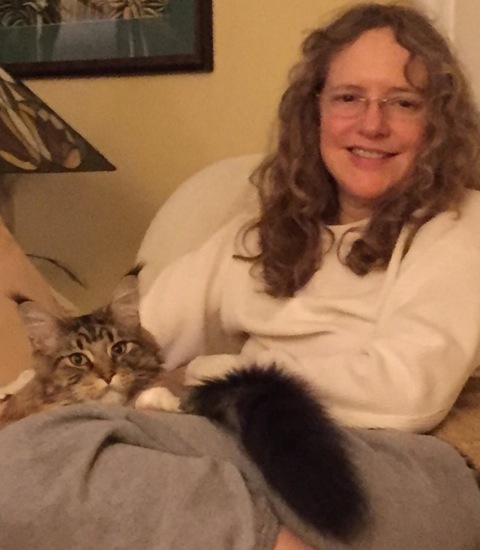 She is also a writer, publishes a paper for animal lovers called Happy Valley Animals, and has a menagerie at home. She is the one who greets you in the office and on the phone at 413-596-3045. Her in-office hours: Monday, 10-5 and Thursday, 10-5. You can also email office@ctkepiphany.org. Benjamin Mabrey, Minister of Music for Christ the King and Church of the Epiphany, began studying piano at the age of four. In addition, he took up French horn in Junior High after playing trumpet and euphonium throughout grade school. In high school, he joined the Springfield Symphony Orchestra’s youth symphony and also Worcester’s youth orchestra in addition to statewide music festivals and competitions. During Benjamin’s senior year of high school, he went to Italy on an orchestra tour playing at numerous historical venues (including special performances at St. Peter’s in the Vatican). Benjamin went to Elizabethtown College in Pennsylvania where he majored in Music Therapy and Music Education – while also doubling in piano and French horn. During this time, he performed in numerous chamber ensembles, orchestras, concert bands, and choirs (as an instrumentalist, accompanist and also a singer). Performances included Washington National Cathedral, the Kennedy Center, and the Harrisburg Forum. 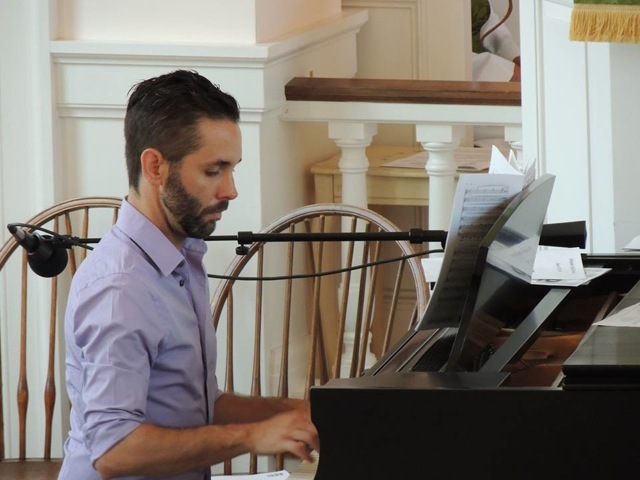 After college, Benjamin became the Music Director at the Church of the Epiphany in Wilbraham and served there for several years as organist, choir director, and junior bell choir director. Outside of church, Benjamin worked with adolescents with autism in a music therapy setting and served as accompanist and music director for several local theater groups including Wilbraham United Players, Exit 7 Theater, and Cheney Hall in Manchester. Relocating to Pensacola Florida for a couple years, Benjamin was the Director of Music for Pensacola Little Theater. Upon returning to Massachusetts, Benjamin immediately continued his work with the therapy and local theater groups and, once again, was hired by Church of the Epiphany in partnership with Christ the King.